Jamaica’s prime minister, Andrew Holness, recently announced a state of emergency for St. James Parish, which includes the tourist hot spot of Montego Bay, amid a sharp increase in violent crime in the area. On Thursday the politician dispatched the military to the area. “I have been advised by the security forces, in writing, that the level of criminal activity experienced, continued and threatened, is of such a nature and so extensive in scale as to endanger public safety,” Holness said, according to a statement from the Jamaican government. Police Commissioner George Quallo said that 335 murders were recorded in St. James last year, almost double those in any other parish. According to CNN, under the state of emergency, people may be stopped at checkpoints and asked to verify their identity. They will also be asked to declare any offensive weapons and could face bodily or vehicle searches. However, the prime minister said that the martial law would not completely trample citizen’s rights. “The declaration of a State of Public Emergency does not mean the suspension of the rule of law. The security forces are expected and have been directed to treat citizens with respect and protect the dignity and safety of all,” he said. 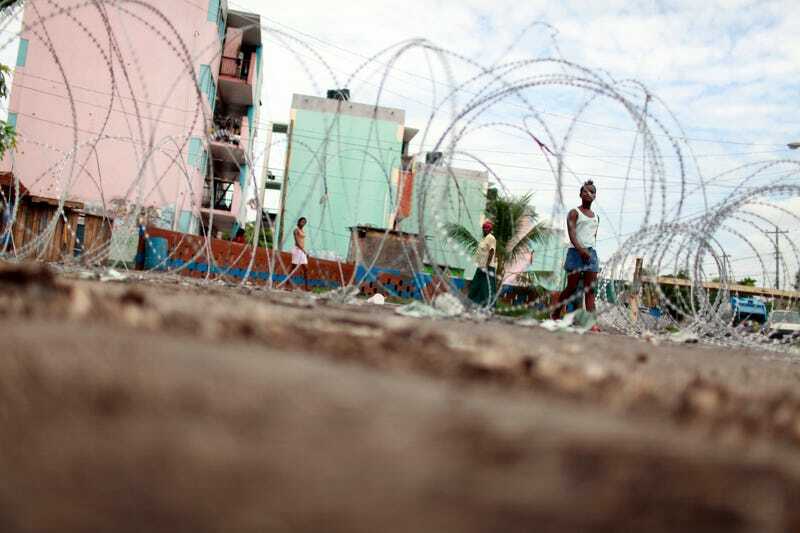 In 2010, security forces killed more than 70 Jamaican citizens, mostly in impoverished “ghetto” areas, after a state of emergency was declared in Kingston, part of an effort to catch the island’s biggest gang boss, Christopher “Dudus” Coke, head of the Shower Posse. Four years later, the country appointed a fact-finding panel to examine the operation and its shortfalls. On Thursday the prime minister pleaded to citizens to share their knowledge of criminal activity. “Now is the time, if you know where the guns are, please tell us; if you know where the criminals are, please tell us,” Holness said. According to the Jamaican Gleaner news site, some residents of the area say they are happy that the military is intervening. On the same day the state of emergency was announced, the United Kingdom and Canada issued warnings to citizens vacationing in the island nation. So far, the U.S. State Department has not updated its travel advisories regarding the area, but it has warned Americans to avoid certain areas in the past. Read more at CNN and the Jamaican Gleaner.